Alpine Climbs in the Americas, Asia and the Himalaya. 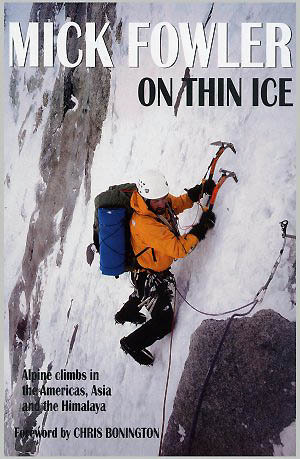 The second volume of Mick Fowler's autobiography; On Thin Ice covers alpine climbs in the Americas, Asia and the Himalaya. Holding down a conventional nine to five job with the Inland Revenue and raising a family while spending his holidays struggling on very demanding climbs in places as diverse as the cliffs of Jordan to remote peaks in deepest Asia via Taweche and Changabang has constantly amazed his peers. A combination of exotic travel with major climbs provides the reader with the ultimate adrenalin-soaked holiday experience!